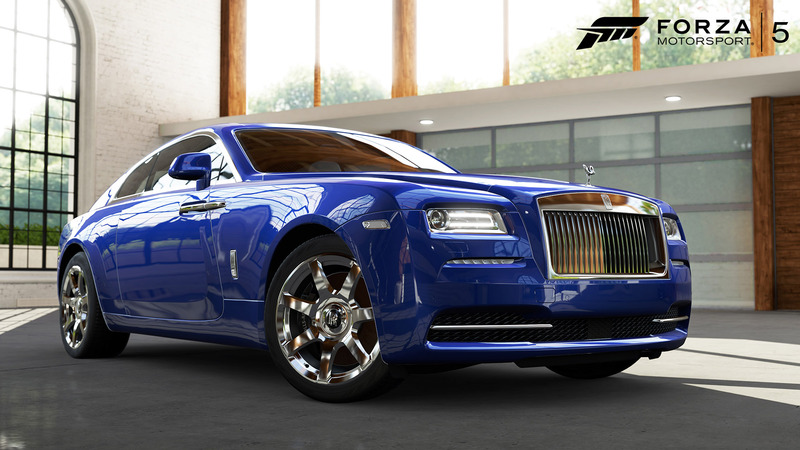 Rolls-Royce Motor Cars, the epitome of luxury, today makes its video game debut. 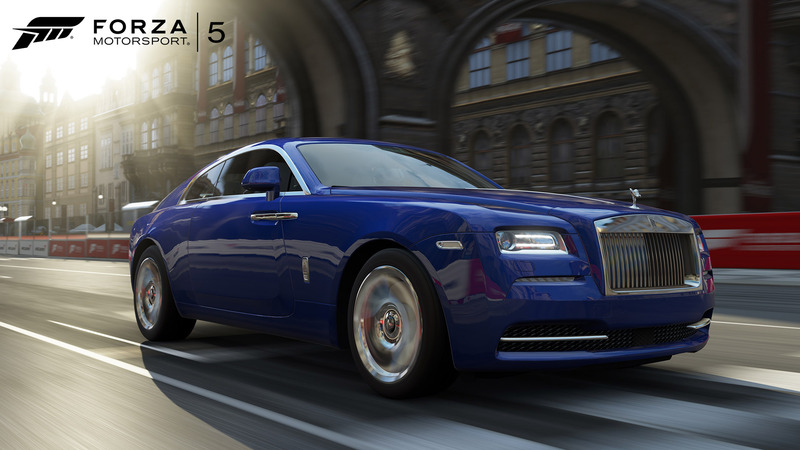 Wraith, the most powerful and dynamic Rolls-Royce in history, is available today, exclusively in Forza Motorsport 5 for Xbox One. 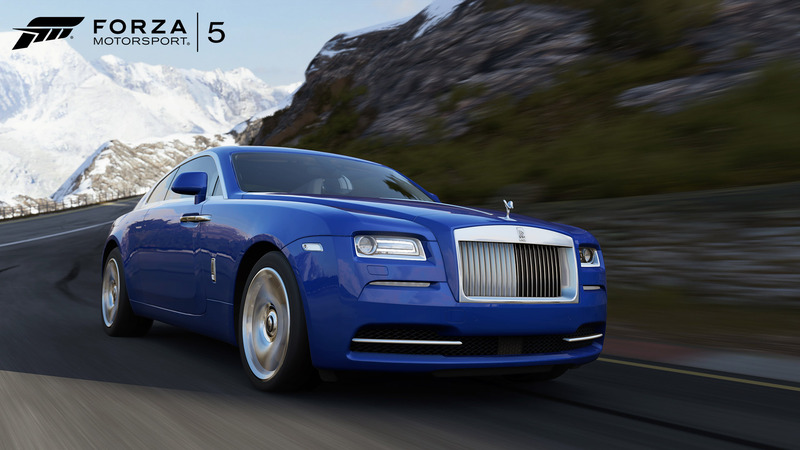 Available to all owners of Forza Motorsport 5 as a free download, Rolls-Royce Wraith allows players to drive, explore and experience the super-luxury vehicle in unprecedented visual realism. Developed by Turn 10 Studios, Forza Motorsport 5 features an all-new graphics engine, created exclusively for Xbox One, delivering physically based material rendering that re-creates the real-life characteristics of thousands of unique materials. Coach doors open to reveal a sumptuous contemporary interior complete with expanses of wood and leather detailing, looking real enough to touch. The marque’s sweeping fastback design appears complete with a Bespoke Starlight Headliner consisting of over 1,340 fibre optic lamps, creating a star-studded interior, allowing players to drive in the ultimate style. 624bhp derived from the car’s 6.6 litre twin-turbo V12 engine is delivered effortlessly courtesy of Satellite Aided Transmission, a cutting-edge technology that marries the car’s gearbox to GPS data to ensure Wraith is always in the correct gear, therefore poised to deliver its abundant power. Wraith will be offered in 12 colour combinations, with Rolls-Royce signature two tone options available.